‘Shock! : Downlifters‘ from Vandalism provides you amazing sound effects. With this great compilation you have the possibility to arrange your tracks using high quality FX. This pack is all you will ever need for all your FX across all genres. All samples were designed to help you create tension in your track’s breakdown. Also be sure to check out ‘Shock! Uplifters‘, which perfectly compliments this pack. ‘Shock! : Downlifters‘ contains an essential collection of downlifters, downsweeps, impacts and crashes recorded at 24-Bit and provided as 1, 2, 4 and 8 bar length WAV loops. Use the best sound effects instead of slowing your creative process to tediously tweak a synth rise. Shock! 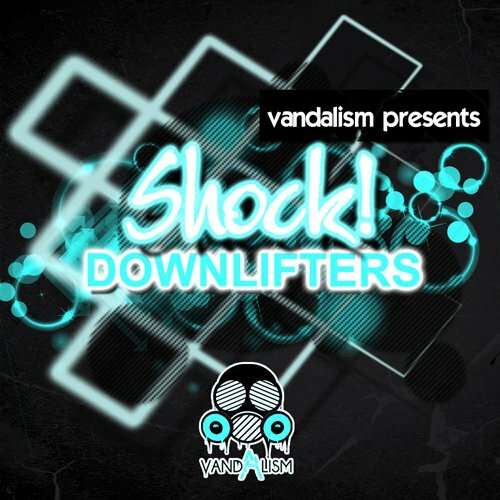 : Downlifters – Vandalism Downlifter Samples provides you a massive collection of FX. You will find the wide spectrum of House, Progressive, EDM, Electro, and Trance effects. This compilation also provides key-labelled effects.